Friends, it's time to learn about how to bolster your brand with the use of Cx, Bxx, Ux, Px. Yep, they're all acronyms. Tune in Friday to learn what these acronyms mean and how to make money. Starting at 2 p.m. in the afternoon (Eastern) this week's webinar will provide viewers with four separate and distinct ways of scrutinizing their legal business from the perspective of an outsider who is 'peering in' to your legal business through different lenses. Whether you're a lawyer looking to increase satisfaction (and thus repeat business and referrals) among existing clients, or if you're interested in how to best portray yourself, your firm, and your firm's operations to prospective clients, this webinar is for you. Lasting only about an hour, this webinar will start by asking an overarching question: what is Bx, Ux, Cx, and Px? At this point, you might be wondering what these silly and trivial acronyms mean, but we promise by the end of the webinar you will have some new things to think about when conducting business with clients. Indeed, we assure you that each category is highly important in its own right, and might offer you some interesting new ways to maximize profits and success in your legal business moving forward. Sign up for this week's webinar by clicking the button below. Bx is Branding Experience: Initially at least, your firm is represented by your brand. We'll be prompting you to ponder whether your brand adequately reflects who you are and what your values are. We'll also be suggesting to you to analyze your competencies as well. You want your brand to provide the client a good sense of all of these things, and to imprint a level of confidence in clients about the level of service and excellence you and your team will deliver. Cx is customer experience: This starts from the beginning time of engagement with a client and continues forward through until the delivery of a final closing letter. Customer experience is what is perceived by the customer. Every phone conversation, handshake, or in person interaction with a client can be lumped into this category. Every retainer agreement, every document, consultation or otherwise. It's all part of customer experience, and perhaps there are some ways you can unify your behaviour and make clients happier. Ux is user experience: This is the multi-touch point experience the client receives when he or she is engaged in using your service. Do these people get a sense that you and your team are working around the clock to deliver the service? Is the self serve payment option truly convenient? Px is product experience: This is all about the actual outcomes of your service delivery. The final product. Did you actually win the case for your client? Did your client feel that the final outcome was worth it? 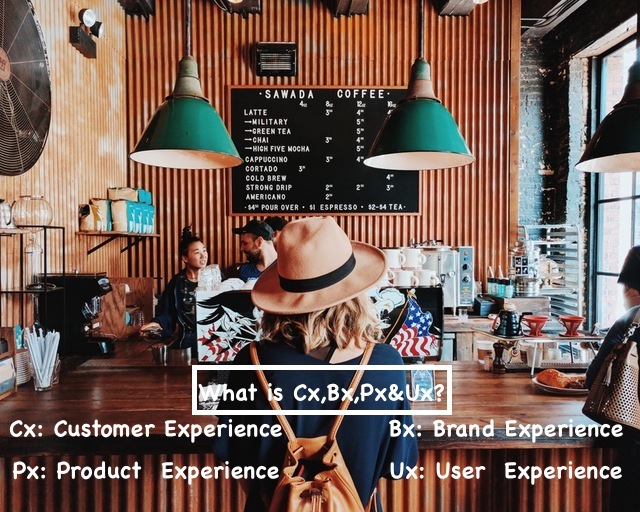 What is Bx, Ux, Cx & Px mean? Why and how to be Bx Cognitive?